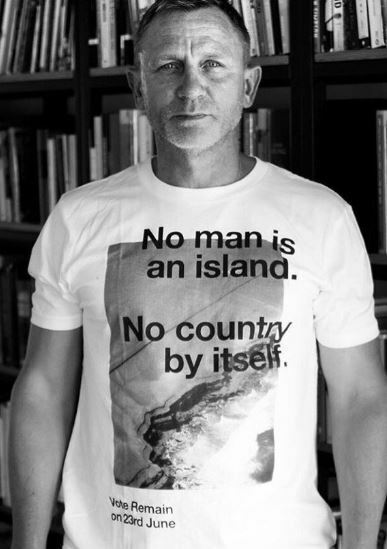 Daniel Craig in 2016 during the Brexit campaign in the U.K. Variety says it knows Daniel Craig’s salary for Bond 25. Naturally, that raises questions. That’s the specialty of this blog. Is Craig getting a pay raise or pay cut? It depends who you believe, how accurate the news account and what currency exchange rates were at the time. Back in 2012, after Skyfall became the first “billion-dollar-Bond,” outlets such as The Independent said Craig would receive 31 million British pounds to do two more 007 films. At 2012 exchange rates, that would mean getting $49.7 million, or almost $25 million per film. At current exchange rates, that would be closer to $42 million, or $21 million per film. Variety’s story says Craig is getting $25 million for Bond 25. Given the currency swings and the like, it’s hard to say one way or another. Still, the Variety figure is FAR LESS than the $150 million, two-film deal that Radar Online claimed Craig would receive in a September 2016 story. In 2016, some Bond fans took to social media to argue Craig was worth every penny of that supposed $150 million, two-film deal. That argument was made despite the fact that Craig hasn’t shown any evidence of being a box office draw outside of the Bond series. Examples: The Girl With The Dragon Tattoo ($232 million global box office), and a film where Metro-Goldwyn-Mayer said resulted in a loss; Cowboys & Aliens ($174.8 million global box office); Lucky Logan ($47.6 million global box office); and Kings ($258,614 U.S. box office since April 27). Does the Variety story mean Bond 25’s distribution/financing is wrapped up? Not necessarily. MGM said in 2007 that Craig was signed for four more 007 films (or running through Bond 25). But one event (Craig’s contract) doesn’t directly affect the other (Bond 25’s distribution/financing). Put another way: Craig isn’t going to collect on his contract (whatever the amount, whatever the length of time) unless there’s somebody to pay it. MGM and Eon Productions announced a November 2019 release date back on July 24, 2017. No distribution deal was set then. On Oct. 31, 2017, MGM and Annapurna Pictures said they formed a joint venture to release each other’s movies in the U.S. But that deal specifically exempted Bond 25. In mid-December 2017, Barbara Broccoli said in a podcast of The Hollywood Reporter said Bond 25 distribution wasn’t set. Maybe there’s been more progress since then. But Craig’s contract, in an of itself, doesn’t mean much. Bond 25 has a star (Daniel Craig), a release date (November 2019 in the U.S.) and confirmed writers (Neal Purvis and Robert Wade). While there’s more than two years before the next Bond film adventure, here’s a look at the accuracy of some major stories written about the movie. News before it was announced: By that, the stories were accurate before there was a formal announcement. Baz Bamigboye of the Daily Mail wrote in March that Purvis and Wade, who’ve worked on the 007 film series since the late 1990s, were hired to write Bond 25’s story. That was confirmed in a July 24 announcement on the official 007 website. Emily Smith of Page Six/New York Post wrote in April and Brook Barnes of The York Times wrote in July that Daniel Craig would be back for a fifth outing as 007. The Page Six item, being a gossip column, ragged on Tom Hiddleston being determined by Eon Productions to be too smug. That’s certainly not proven. The Times’ story, published the same day as the Eon announcement about the 2019 release date said, “Daniel Craig will play James Bond in at least one more film,” In any event, Craig confirmed he’s coming back on the Aug. 15 telecast of The Late Show on CBS. Looking shaky: Radar Online in September 2016 said Sony Pictures offered Craig $150 million to do two more Bond movies. At the time, there was no distribution deal for Bond 25 and one still hasn’t been announced. Then, as now, nobody knows if Sony will even be involved with Bond 25. Given a release date has been announced, you’d think a distributor is in place but nobody outside of Eon actually knows. The Sun, Rupert Murdoch’s U.K. tabloid, said earlier this month Craig was “on the verge of signing for not one but two more installments” in the 007 film series. 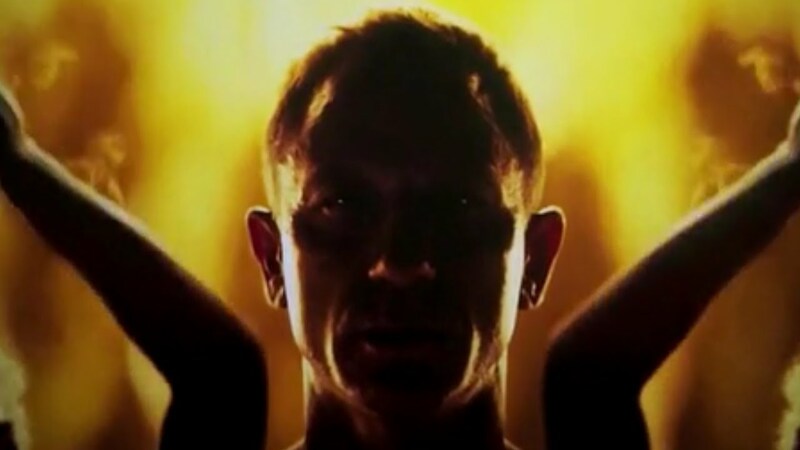 Craig told CBS, “I think this is it,” referring to Bond 25. But people have been known to change their minds. We’ll see. Back in April, the blog took a look at Metro-Goldwyn-Mayer’s potential studio partners for Bond 25. 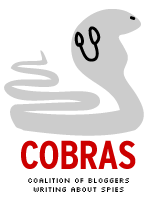 Well, no decision has been reached (or at least announced) since then, but there have been developments among the studios. So here’s an updated look at the studios that may co-finance and distribute the next James Bond film. 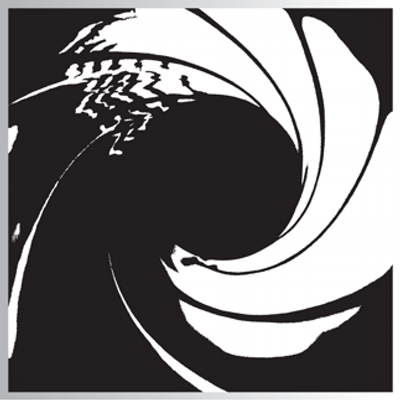 Sony (the incumbent): Sony Pictures, through its Columbia Pictures brand, has released the last four Bond films but its most recent contract expired with SPECTRE. Sony’s share of the Bond profits were paltry the past two films. New leadership took over the studio and Amy Pascal, the executive who negotiated that deal, is gone. Still, it may be the case that the more things change, the more they stay the same. Sony this summer tried to revive Ghostbusters, this time featuring four women ghostbusters. (Pascal was one of the producers.) The Hollywood Reporter said in an August story that the new film is on track to lose $70 million and that a sequel is unlikely. Radar Online, an entertainment and gossip website, this weekend RAN A POST saying that Sony “should be announcing any day that the studio is re-upping the distribution rights for the Bond series.” Further, it says Sony (it doesn’t mention MGM) is offering Daniel Craig, 48, $150 million to do two more Bond movies. We’ll slap the Caveat Emptor label on that. One of Sony’s problems with the last two 007 movies is, while they generated $2 billion in worldwide box office, the studio was third in line (behind MGM and Eon Productions) in getting money despite putting up half of the large production budgets. Paying your leading man $75 million per movie isn’t going to help studio profitability. But we’ll see what happens. Regardless, Sony’s interest in Bond likely remains high, especially after this summer’s Ghostbusters movie. Warner Bros.: The studio has its hands full with its slate of movies featuring DC Comics characters. Batman v Superman: Dawn of Justice is the No. 5 movie worldwide so far this year at $872.7 million. Another DC-based movie, Suicide Squad, featuring villains forced to work for the government, is No. 8 worldwide at $643.4 million. Most studios would love such a result, but “Mr. Warner” was hoping for more than $1 billion for Batman v Superman. Rival Marvel Studios, part of Walt Disney Co., is No. 1 for 2016 at $1.15 billion for Captain America: Civil War. Still, the studio isn’t backing down, with a movie version of the Justice League in the works for 2017, picking up where Batman v Superman left off. Does the studio have the bandwidth to also co-finance Bond films? Paramount: When last we looked in on Paramount, there was a lot of turmoil at its parent company, Viacom. Well, that soap opera reached a resolution last month, including the forced departure of Paramount chief Philippe Dauman. That raises the question whether new leadership at the studio can mount an effort to strike a deal with MGM. Paramount co-financed and released MGM’s Ben-Hur remake, which reached theaters last month. The movie bombed, apparently the answer to a question audiences weren’t asking. 20th Century Fox: Not much has changed here. Fox has a deal with MGM to handle home video distribution of Bond movies.